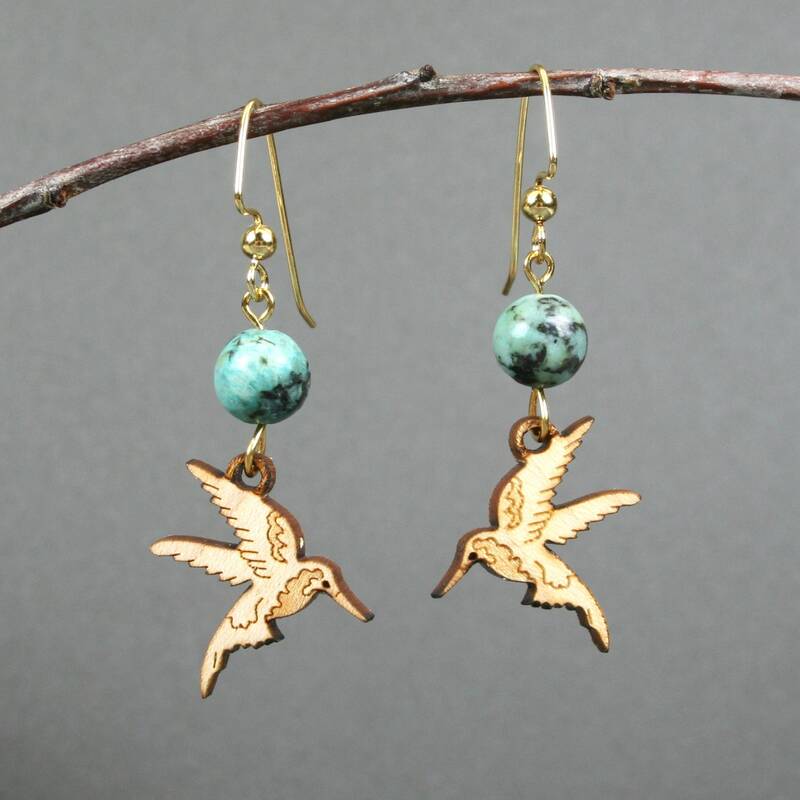 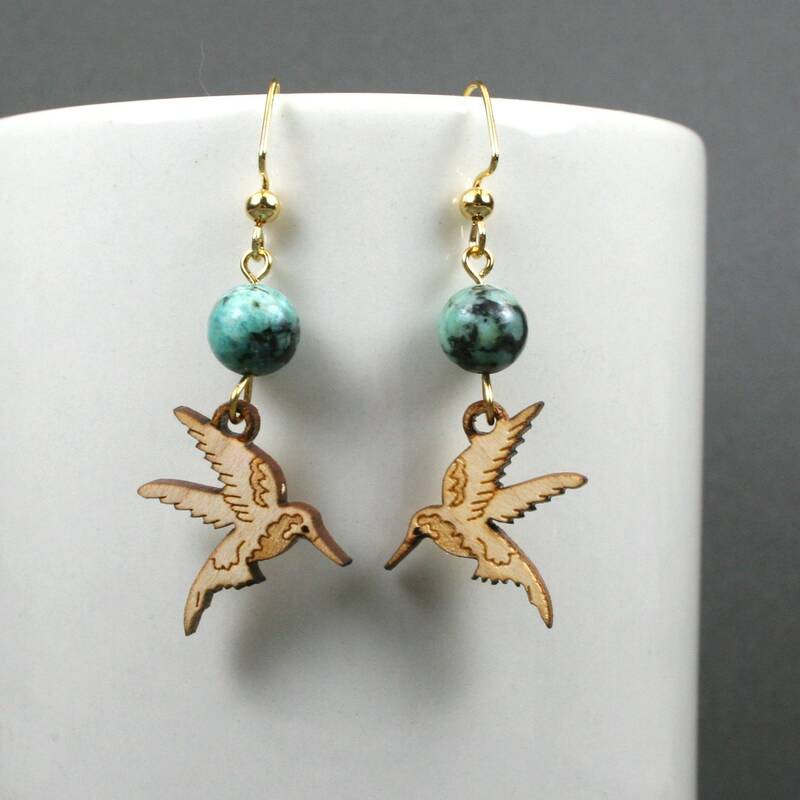 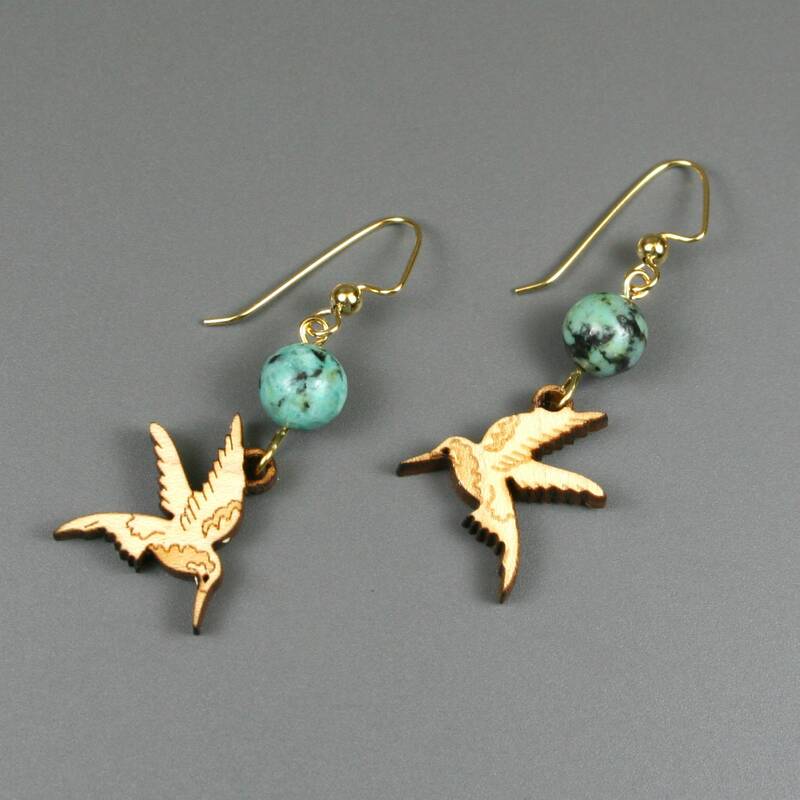 Each earring contains a hummingbird cut from maple wood hanging below an 8 mm round African jasper stone that is suspended from gold plated ear wires. 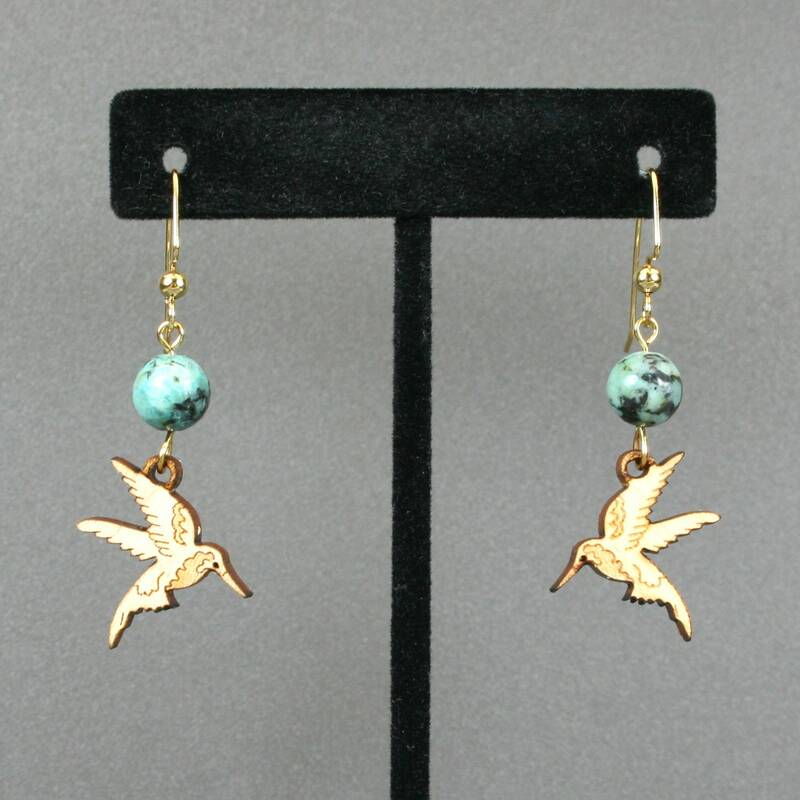 The wooden hummingbirds are approximately 20 mm by 18 mm, and are one-sided with the back having less detail than the front (see image 4). 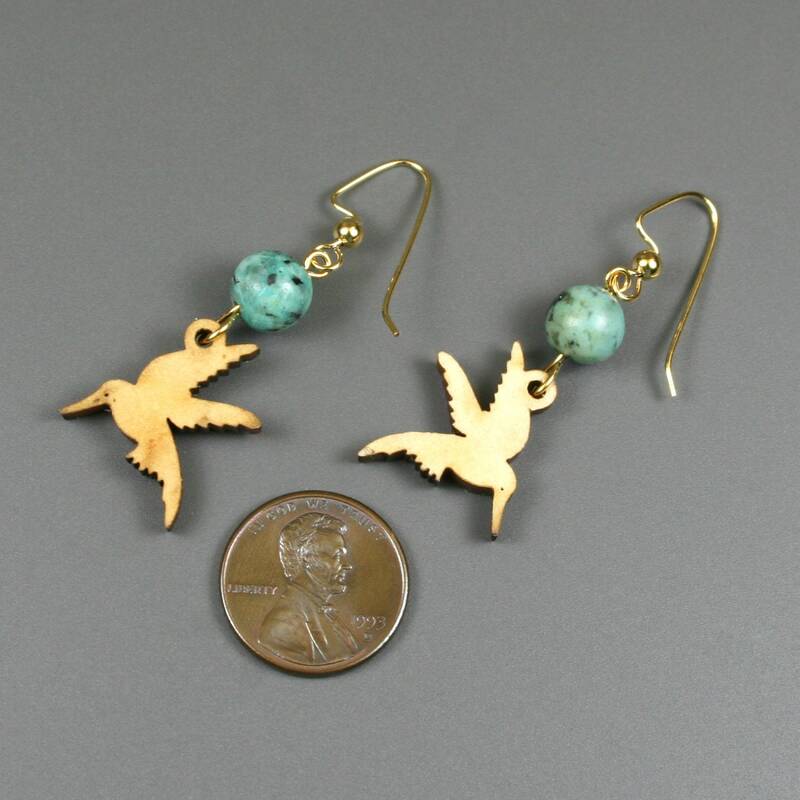 The bottom of the earrings dangle 50 mm from the top of the ear wire.